New York Attorney General Andrew Cuomo. When you donate to charity, you normally leave the item, get a receipt, and never think of it again. But when it comes to donating your car, New York State Attorney General Andrew Cuomo says you may just want to think again. 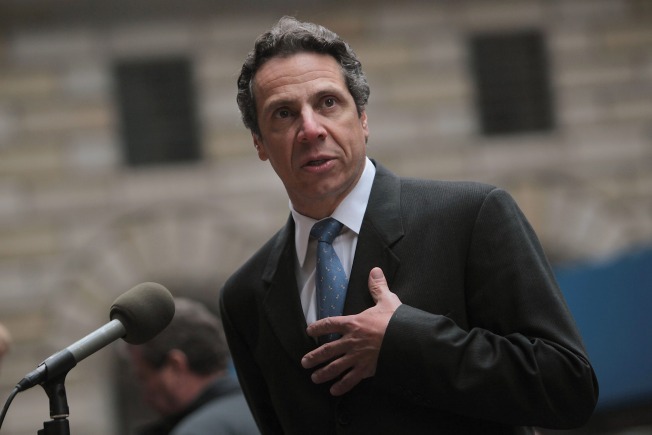 Cuomo says that his office has been looking into charges against several car donation charities after an investigation revealed that fraudulent practices deceived donors and diverted funds into the pockets of organizers. The investigation prompted the Attorney General’s office to file a lawsuit against Feed The Hungry, Inc. and subpoena records for 16 other charities. According to the complaint filled in New York County Supreme Court, Feed the Hungry, Inc. has been accused of pocketing nearly all the money raised through a car-donation program run under the guise of a fund raising effort. Nick Cascone, the head of the New York-based "not-for-profit" corporation, allegedly, used the Feed the Hungry's website to solicit car donations from prospective donors by misrepresenting number of meals for the hungry that Feed the Hungry had funded, according to the suit. The lawsuit also charges Cascone with failing to provide even the most basic corporate and financial oversight of charitable assets. “Nicholas Cascone and his Feed the Hungry organization promised to use donated vehicles to help the homeless but only ended up taking generous New Yorkers for a ride,” said Cuomo. According to the complaint, a review of Feed the Hungry's practices found that less than 2 percent of the $430,000 the group raised from its car donation program from 2002 until 2009 had gone towards charitable purposes. The rest, investigators say, Cascone kept for personal use. Cuomo claims that Feed the Hungry's website has been disabled since Cascone learned of the investigation. Cuomo told reporters at a Manhattan news conference that his office has reason to believe car-donation fraud is widespread. Non-profit organizations often use car donations as a way to bolster funds. When a car is donated, the group usually pays for towing, and sells the vehicle with proceeds used to fund their program. This also lets owners claim tax credits that depend on what the proceeds of the sale were used for. The Attorney General notes that because non-profit groups are tax exempt and donations to them are tax deductible; it was essential for his office to "police" potentially questionable activities. Cuomo made it clear that he wasn't discouraging people from donating their cars. He did however urge donors to research an organization thoroughly before deciding to donate. He also has a list of New York State approved Charities in the resource section of his site.